A man and a woman are wanted for stealing wallets from victims' offices in Arlington, Va. then using the stolen credit cards to buy gift cards. According to police, the individuals entered an office building in the 4600 block of N. Fairfax Drive and stole a victim's wallet from her office June 25. Later that day, the two were seen purchasing nearly $1,000 worth of gift cards at a CVS. On July 8, the same individuals entered a dental office in the 1600 block of N. Wilson Boulevard. One suspect asked the receptionist about the services they offer, while the other stole the victim's wallet from her desk. 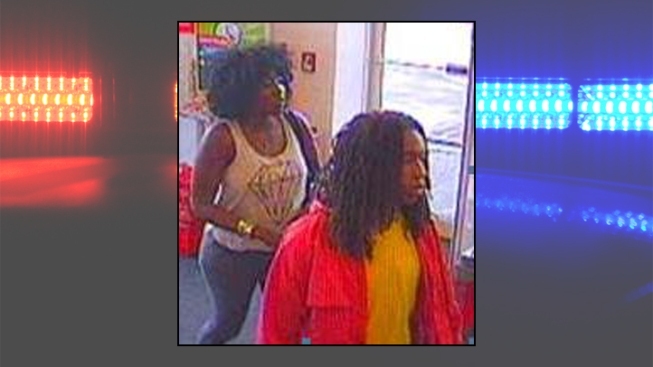 The suspects were again seen purchasing $445 worth of gift cards at a CVS.